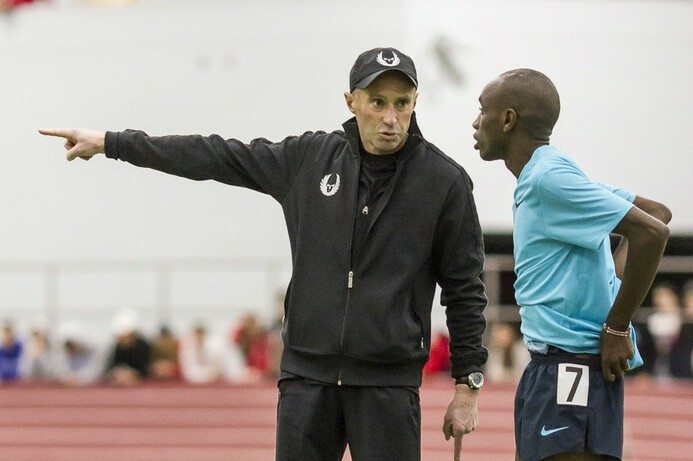 – Alberto Salazar talking about Galen Rupp going for Hicham El Guerrouj‘s 3:48.45 indoor mile world record in two weeks. 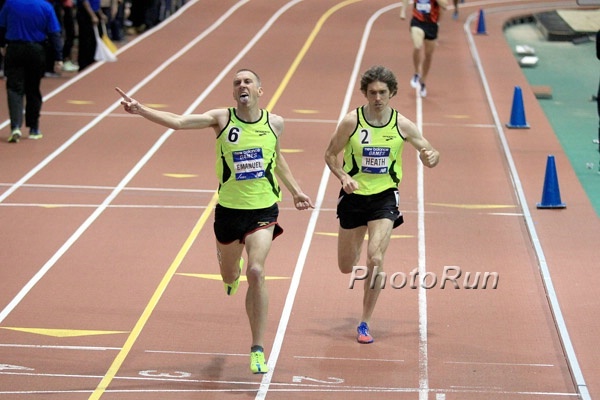 Salazar says that this is the first race of the year Rupp will be fully rested for. 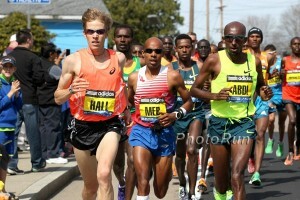 Bernard Lagat has the U.S. record at 3:49.89. 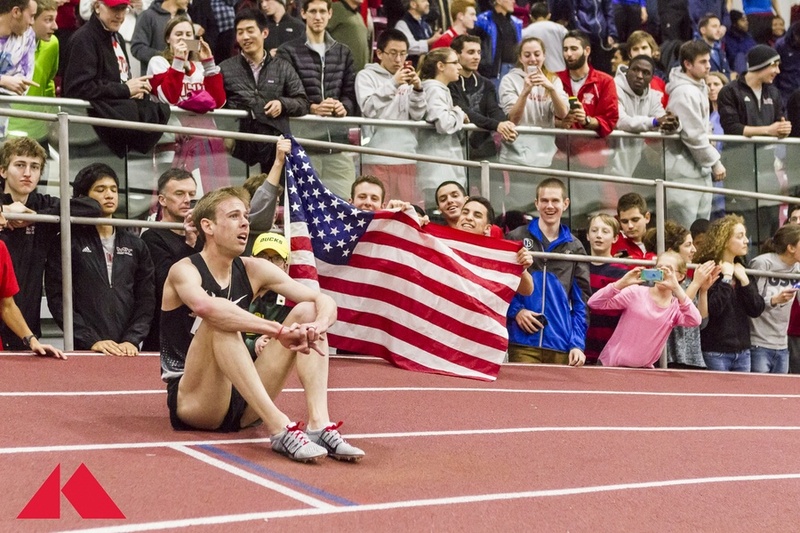 Rupp’s mile has been pushed back a week to the same day as the famed Wanamaker Mile, but Rupp will not be attempting to break the record in the media capital of the world: MB: Date of Galen Rupp’s 1 Mile Record Attempt Moved to Same Date as Millrose. 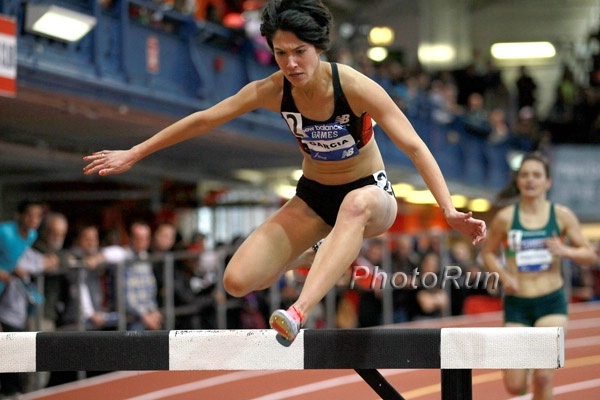 Efraimson vs Cain at Millrose - Can she keep it close? 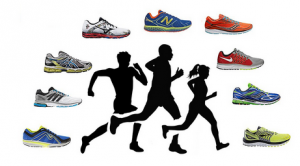 Which College XC/Track Teams Party the Hardest? 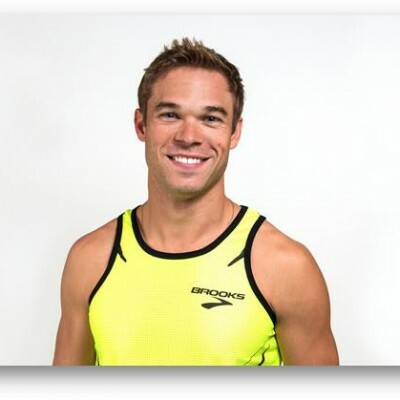 Saturday: Nick Symmonds Headlines Elite Fields Set For Camel City Hilton Garden Invitational In Men’s And Women’s 800, Mile And 3k Tons of US elite mid-d runners will compete including Symmonds, Cas Loxsom, Miles Batty, Mark Wieczorek, Paul Chelimo, Maggie Vessey and Brie Felnagle. 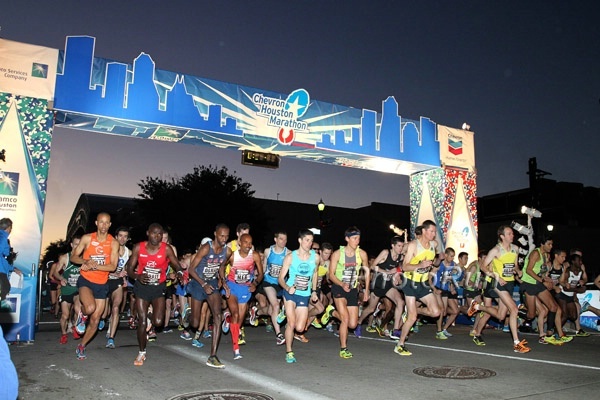 Sunday On The Road: Deena Kastor To Headline Rock ‘N’ Roll New Orleans Half Marathon Kastor may take down Colleen De Reuck‘s current U.S. masters half record of 1:11:50. Comical Piece By Jon Gugala: What If Seattle Seahawks Roger Sherman “Thug Controversy” Happened In Track And Field? 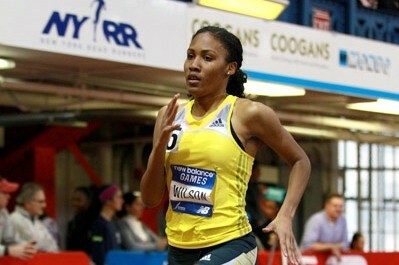 Click to read Phoebe Wright talking trash about Ajee Wilson ahead of the US Indoor Champs. 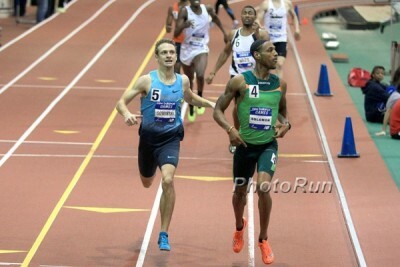 USATF Indoor Highlights From The Past Week Check out some smaller performances you (and us) may have missed last weekend, including performances from Jenn Suhr and high hurdler Terrence Trammell. 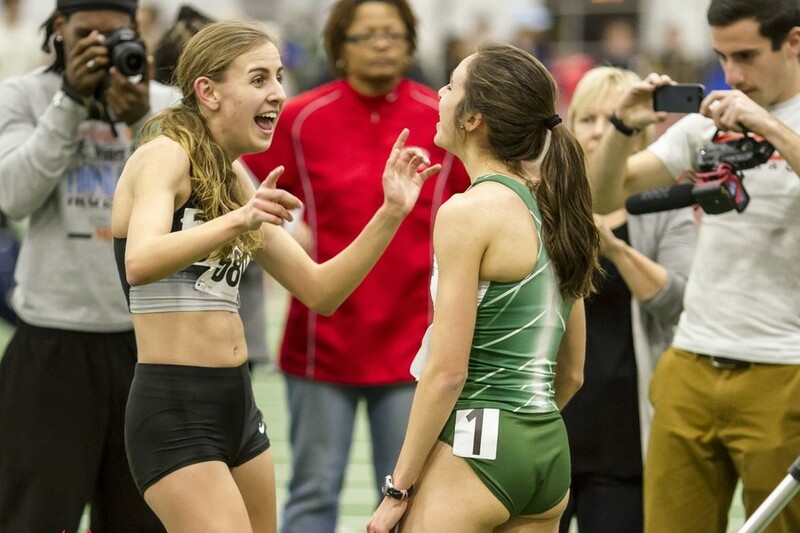 4 Ivy League Records Go Down Over The Weekend Dartmouth got two conference mile records with Abbey D’Agostino (4:28.31) and Will Geoghegan (3:58.04) as Harvard’s Maksim Korolev set the 5,000 record at 13:42.56 and Cornell’s Stephen Mozia set the shot put record with 67-4 (20.52 meters). 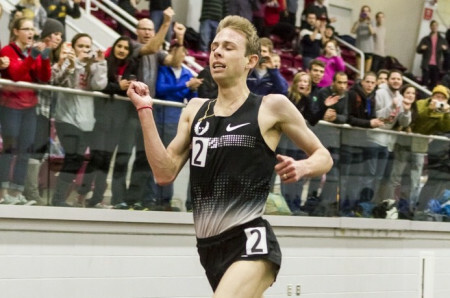 *Dartmouth’s Will Geoghegan Sets New Ivy League Record In The Mile With 3:58.04 He broke the previous record of 3:58.52 set by Columbia’s Kyle Merber in 2010. Arizona’s Nick Ross Breaks His Own HJ School Record Ross cleared 7-7 (2.31m). 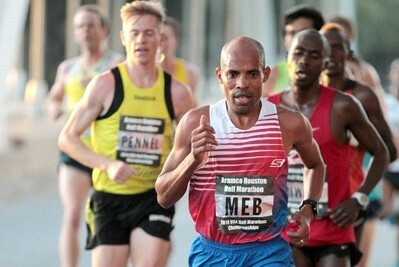 IAAF Profile On World 800 Bronze Medalist And 3:30 1,500 Man Ayanleh Souleiman, Who’s Running The 3k In Dusseldorf Today Souleiman doubled at Worlds and thinks he would have won the 1,500 if he hadn’t run the 800 (he didn’t make the 1,500 final). 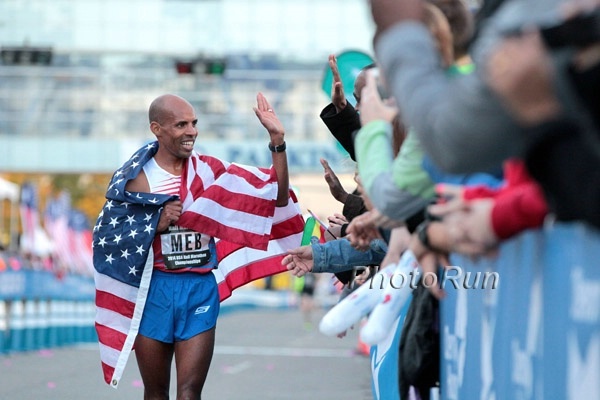 He’s training partners with Olympic 1,500 champ Taofik Makhloufi and two-time World Indoor 800 champ Abubaker Kaki. *PSD Bank Meeting In Dusseldorf Today: Germany’s PV World Champ Raphael Holzdeppe Vs. Olympic Silver Medalist Bjorn Otto Poland’s double European Indoor champ Adam Kszczot will defend his title in the 800. Oregonian’s Ken Goe Asks: One question for the critics: if not Eugene, where? This is in response to several articles (including Rojo‘s “Eugene Fatigue: It’s Not In The Sport’s Best Interest To Have Every Big Track Meet In Eugene”) Eugene’s stranglehold on big track events in the US. 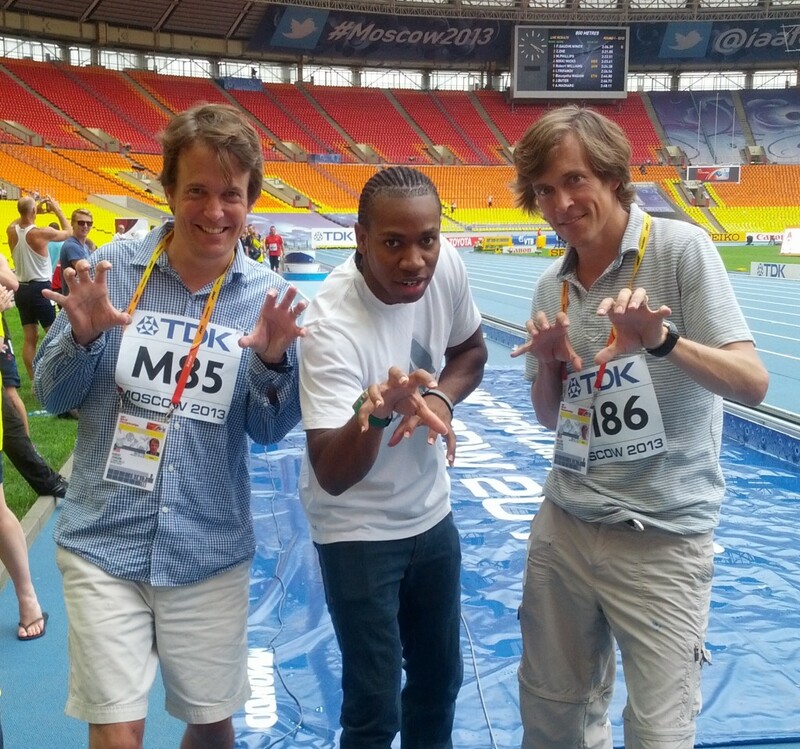 European Stuff: Will The World Finally See A New Pole Vault WR? Laura Muir Is Excited Ahead Of World Indoors After Setting A Huge Indoor 800 PR To Break The Scottish Record With 2:00 The 20-year-old’s previous best during indoors was only 2:08, although she had ran 2:00 outdoors. UK Athletics CEO Niels De Vos Reacts To Amateur Athletic Association’s Statement Criticizing UKA AAA spoke out against De Vos’ salary bonus, but De Vos said their criticisms were “ill-informed.” We’ve already pointed out how De Vos is underpaid compared to others in his position. UK’s Defending Commonwealth Games Heptathlon Champion Coming Out Of Retirement To Defend Her Title She just “retired” back in September, but says that Jessica Ennis taking the year off with pregnancy was a “game changer.” Hazel was only 27th at the London Olympics. 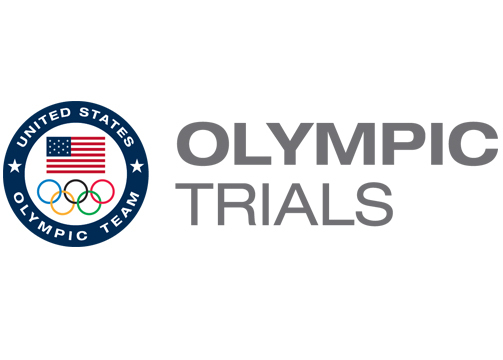 Q&A With Gabriele Anderson, Who Is Now Married And Gabriele Grunewald We call first dibs on the children as her hubby is an OT marathon qualifier. As for Gabriele, she’s focused on trying to make World Indoors. 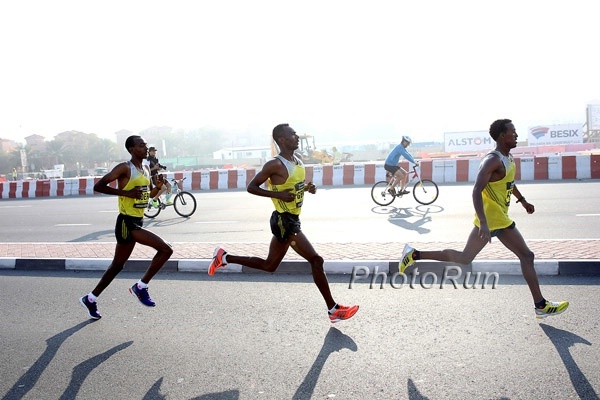 Paul Tanui Wins, Faith Kipyegon Dominates Famed Cinque Mulini XC Race, Jenny Simpson Third Paul Tanui, the guy who kept Galen Rupp from medaling at Worlds last year, got the win on the men’s side. On the women’s side, two-time world junior XC champ Faith Kipyegon dominated. 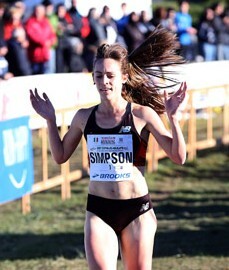 Jenny Simpson was third in her 2014 debut, but over a minute behind European XC silver medallist Gemma Steel and 1:40 behind Kipyegon. 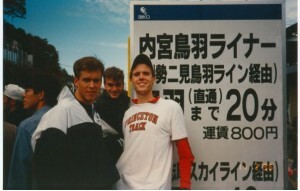 Kenyan Match-Maker: Coach Colm O’Connell Has Produced Dozens Of Kenya’s Top Distance Runners As Well As Its Greatest Distance Running Couples More than 20 couple have met through the renowned distance coach. 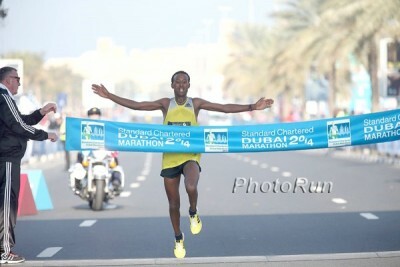 NYC Marathon Champ Priscah Jeptoo And Former World Half-Marathon Champ Wilson Kiprop Win Discovery Kenya XC Champs Chicago Marathon winner Rita Jeptoo was 3rd for the women; Olympic 10,000 5th placer Bedan Karoki was 2nd in the men’s race. 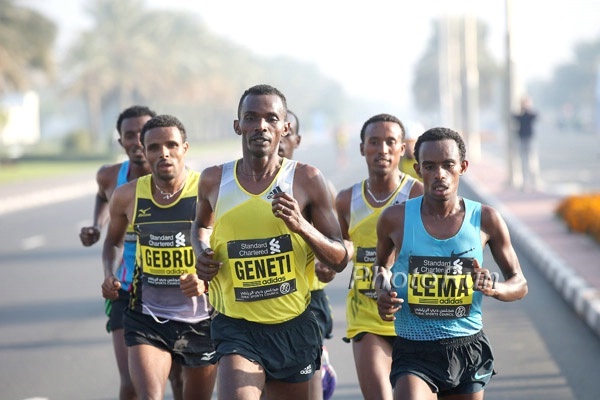 Toni Reavis Blogs: Battle Lines Drawn In Kenyan Tax Revolt Reavis explains both sides and talks about the new athlete union called PAAK that’s been formed with athletes such as Wesley Korir, Wilson Kipsang and Geoffrey Mutai leading the way. 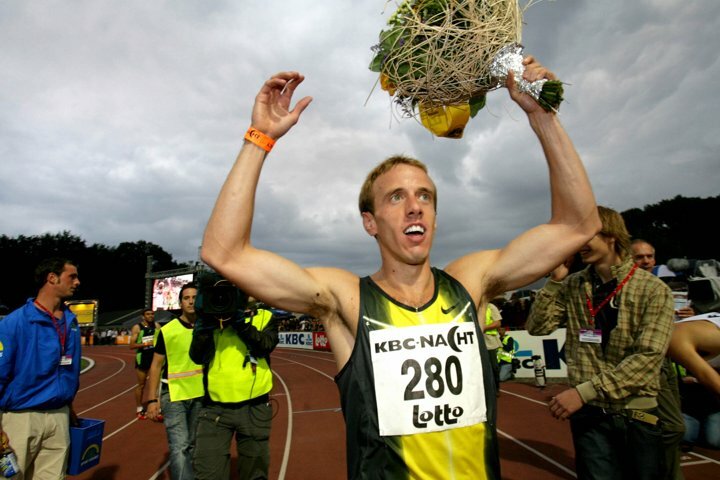 Recommended Read: Alan Webb’s Wife Blogs On His Career Change From Track To Triathlon A great blog post by Julia Webb who walks through the decision to move to the triathlon. She admits that Alan has made some “mistakes” during his career, including moving from coach to coach, but emphasizes that his lack of success in recent years hasn’t been due to lack of effort or dedication. 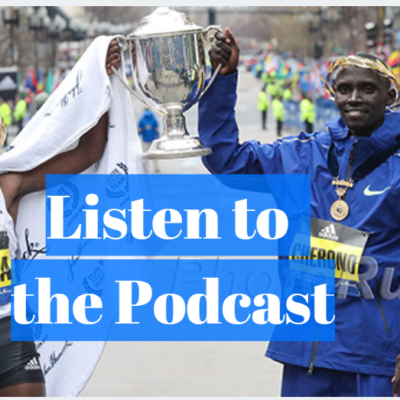 Great Athletics Illustrated Interview With Yuki Kawauchi, Who Talks Extensively About His Interesting Training And Racing Schedule Kawauchi says he actually thinks the best race of his life was a 30K which he thinks was equivalent to a 2:06 marathon. 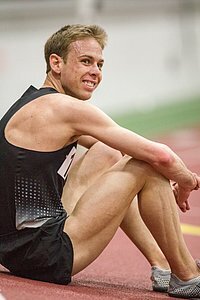 Leo Manzano Blogs About His Training And Is Looking Forward To Racing New Balance GP Mile Next Saturday He said he was getting “very distracted with financial concerns” due to his lack of sponsorship, but his concerns were eased through help from his “supporters” who funded his training trip to Mexico. Extensive Gary Cohen Interview With Ultramarathoner Catra Corbett Corbett is one of only four people to have finished over 100 events of 100 miles or more. 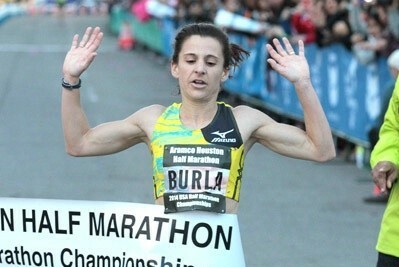 She talks about her life-changing transition from substance abuser to vegetarian ultramarathoner. Swimming WR Among 12 Russians To Test Positive In Latest Doping Scandal There were 12 athletes from 7 sports including 3 from track and field. Roid Rage: Pop Star Justin Bieber’s Erratic Behavior Linked To Dependence On Steroids A report says he’s been taking Clenbuterol, a diet drug which is most commonly used on the horses. Russian Sochi 2014 Head Contradicts IOC President Thomas Bach Over Potential Athlete Protests Of Anti-Gay Law Bach had said athletes weren’t allowed to make political protests on the medal stand, but could in press conferences. However, the head of Sochi 2014 is saying he is wrong. After Career-Defining Victory In Glasgow, 21-Year-Old Guy Learmonth Excited To See What He Can Do In 2014 The Loughborough University student broke the 40-year-old Scottish record in the 600. Jason Pyrah Inducted Into Missouri Sports Hall Of Fame Class Of 2014 He had to share the limelight with some rich studs like MLB player Willie McGee. Q&A With Khadevis Robinson About Coaching At LSU He’s a big believer in “core.” Amazingly, the interviewer didn’t ask him about his career or if he’s retired. Britain’s Mo Farah And Paula Radcliffe Will Be On-Site For Unveiling Of Lornah Kiplagat’s $931,000 Tartan Track In Iten Meanwhile, the govt. 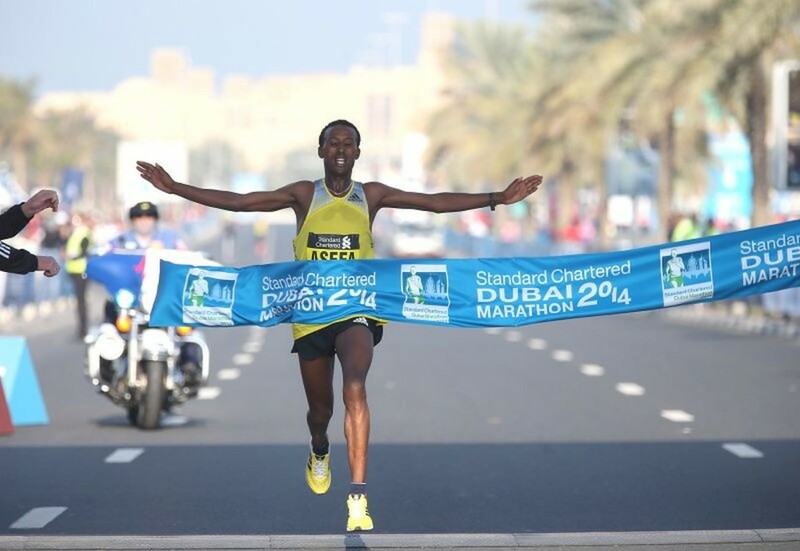 has abandoned plans for a new track in Kip Keino stadium after spending more than $1.7 million. BBC Spends Week With Kip Keino During Commonwealth Games Baton Relay Through Africa Keino reveals he no longer “runs” but he does “jog for my life” 3 times a week. Athletics Kenya Has Issued A One-Week Ultimatum To Unauthorized Foreign Coaches And Physiotherapists To Leave The Country They are being blamed for the doping positives and must leave unless they get a permit by Feb. 3. 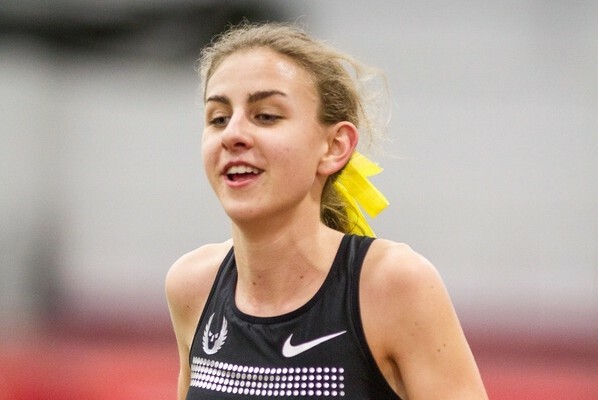 Meet 20-Year-Old Hanna Tarver Of The UK, Who Has Run 2:05.46 She credits much of her success to coach Dave Jeffs, who guided her until his death last year. James Dasaolu Sets World-Leading Time Of 6.50 Secs. For The 60m At Glasgow International Match – Telegraph GB’s Holly Bleasdale returned from injury with a 4.62 win in the PV. 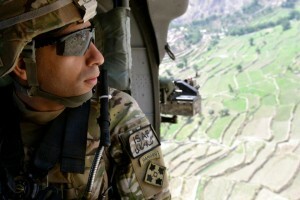 Talk about having no fear of the marathon. 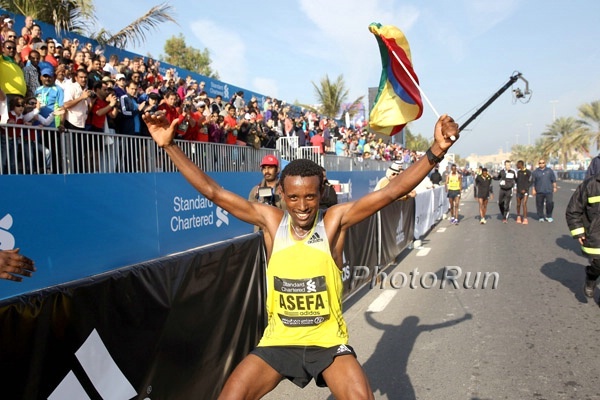 An unheralded 18-year-old with a 62:53 PR at 13.1 went out on world record pace and ended up with a dominant 2:04:32 victory as a Ethiopian debutant won in 2:04 for the 3rd straight year. Wow. 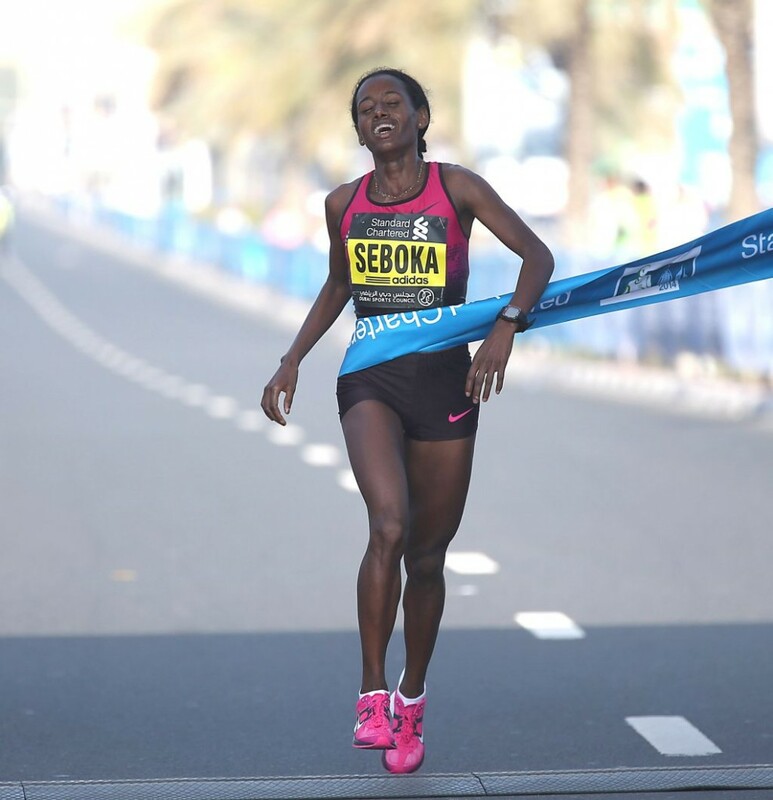 (updated) This was certainly an upset as Seboka, until recently, was a journeywoman. But no longer. 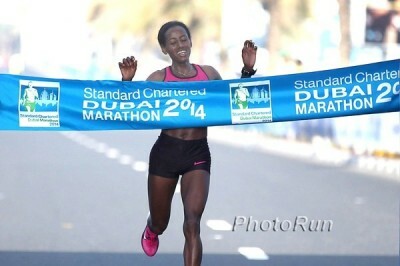 In the 30th marathon of her career - yes, 30th - thanks to a strong surge at 35k which broke the pack, she defeated the #2 10,000 runner in history, Meselech Melkamu, and finished off a 71:20 2nd half. 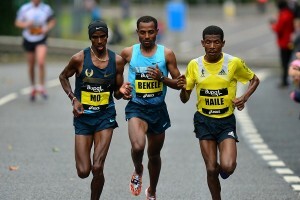 2011 NYC champ Firehiwot Dado was third.